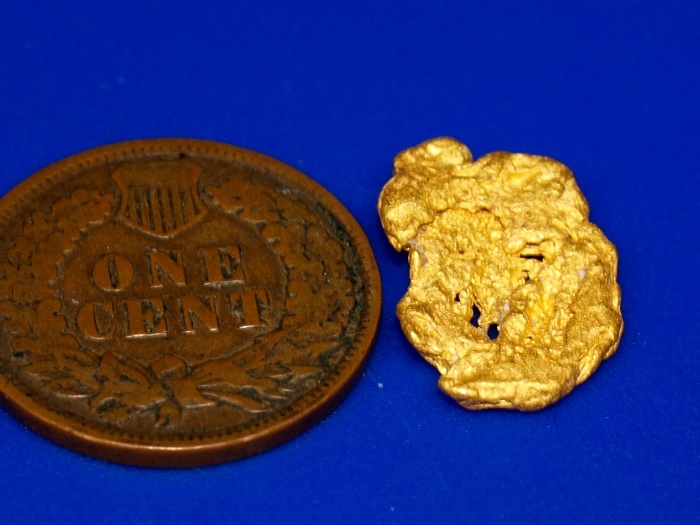 Here is a nugget that was found in the Placeritas mining district, a little-known gold mining area west of Majuba Mountain in Pershing County, NV. 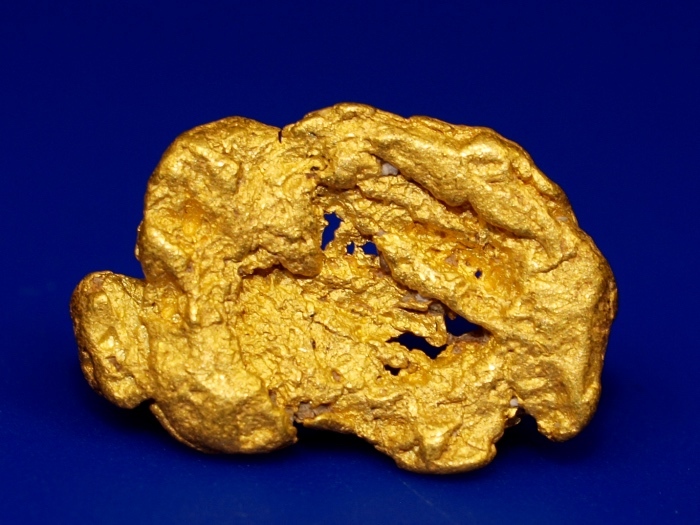 This area has produced gold for over a century, but larger nuggets are few and far between nowadays since the area has been hunted hard by detectorists over the years. 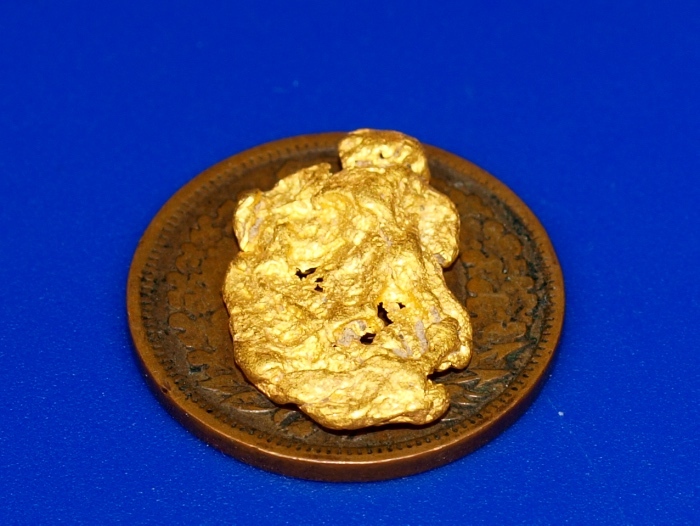 Most of the sizable nuggets were found years ago and are now in private collections. This piece weighs 2.13 grams. It is nice and flat so it looks large for its weight. The penny in the photo is for size reference only. It will ship for FREE and comes in a nice display case.